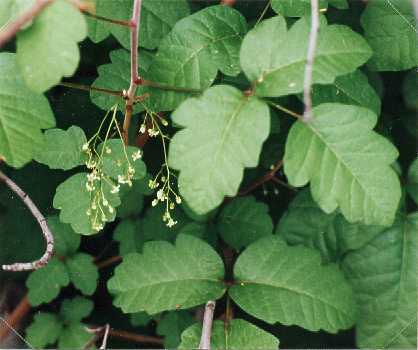 Notes: A native, it can assume the form of a shrub or vine. 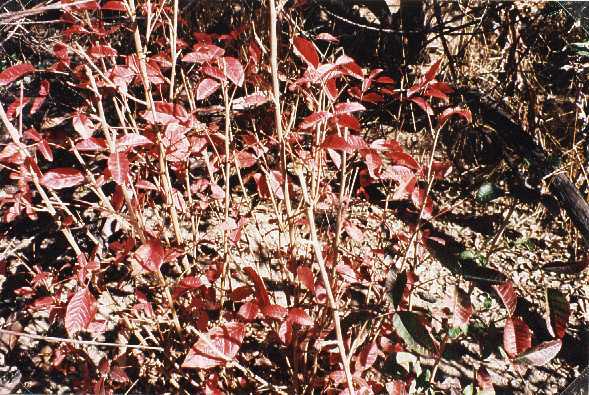 Both the leaves and stems contain a toxin which can cause severe skin rash in many people, although other animals are immune to its effects. It has compound leaves made up of three leaflets, giving rise to the memory device, "Leaflets three, let it be." Can reach 4-5 feet in height as a shrub, but can also climb trees as a vine.